Reverse mortgage industry software and technology provider ReverseVision announced Monday the addition of Jeffrey S. Taylor, Master CMB to its board of directors. Taylor is the founder and president of reverse mortgage banking consulting firm Wendover Consulting, Inc. Throughout his 35-year career, Taylor has played key roles in forming retail loan origination, correspondent and wholesale lending and secondary market operations. He also founded Wendover Funding, Inc., a subservicing organization for both forward and reverse mortgage loans, which operated between 1986-1999. From 2000 until his retirement in 2009, Taylor led Wells Fargo Home Mortgage’s reverse mortgage operations. Taylor’s other accomplishments include serving as Vice Chairman and former member of the Bryan School of Business and Economics Advisory Board at the University of North Carolina at Greensboro. 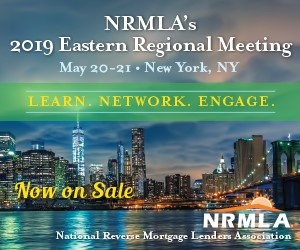 He is also the founding chairman and a member of the board of directors of the National Reverse Mortgage Lenders Association and has served as Chairman of Reverse Market Insight, Inc.
Additional professional achievements included receiving the Certified Mortgage Banker professional designation in 1988 and Faculty Fellow Award of the School of Mortgage Banking in 1990 by the Mortgage Bankers Association of America.